Texas – If you own a bayhouse or lakehouse for any period of time, you know you will eventually have to maintain, repair, and (GULP! ), replace waterfront bulkhead. Tidal changes, boat wakes (small and large), storms, and time all contribute to erosion and overall deterioration of waterfront bulkheads. 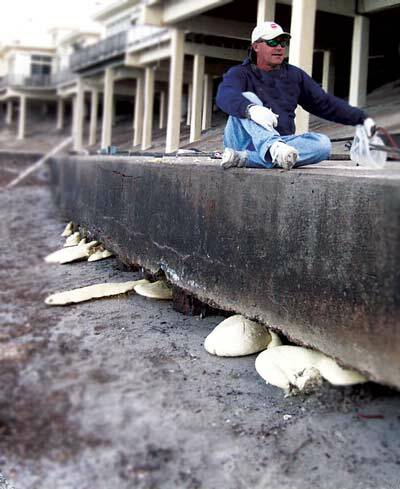 In addition to residential bulkhead applications, port authorities and facilities that own or required to maintain bulkheads can also take advantage of URETEK’s structural grade polymer for sealing and soil densification around bulkheads. URETEK’s material is listed as an NSF 61 material and is safe to use around public water supplies. URETEK ICR South Texas, based out of Corpus Christi, provides an innovative, convenient, long-lasting solution to seal and stabilize eroding joints and failing bulkhead without the hassle of costly replacement.